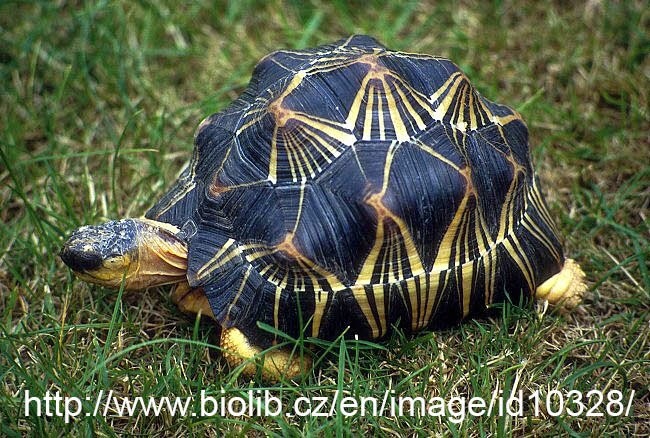 Geochelone radiata is a tortoise which is sometimes called the radiated tortoise because of the unusual radial patterns on its shell. 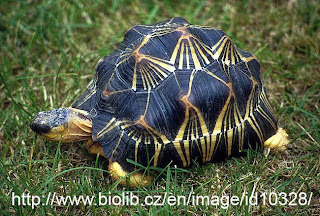 Apart from these really cool patterns the radiated tortoise makes the Bizarre Creature list because it loves a very long time. It is difficult to say accurately how long they live as their lifespan far exceeds our own amd there are so few of them. Captain James Cook gave one of these tortoises to the king of Tonga in the 1770s and it died in 1965. 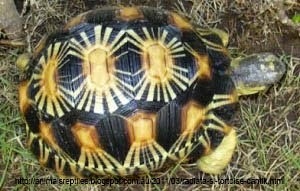 The radiated Tortoise can only be foumd in the South and South West of Madagascar and has a very limited range. They have been introduced to Reunion Island nearby as a conservation measure.